Air Miles collectors might want to read this if you haven't yet! Air Miles in-store cash miles redemptions have been reinstated as of Wednesday, April 5, 2017. Air Miles discovered that some cash miles were stolen from members a couple weeks ago and have now added more security precautions. They also changed how much you can redeem in one day and what on. 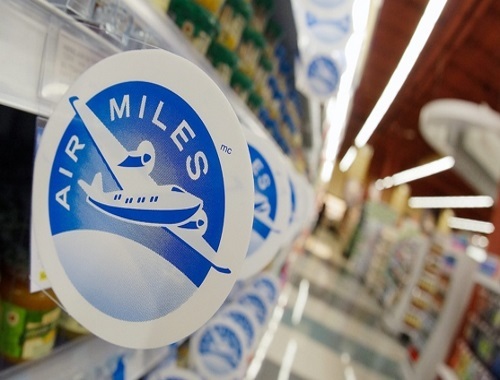 Air Miles said it chose to implement the $50 cap to reduce the risk of fraud while ensuring most of its collectors can still claim their miles for discounts. The loyalty program says Air Miles customers will be able to redeem up to 475 cash miles worth $50 per day, starting Wednesday, April 5, 2017 as of 5 a.m. ET. Also, Air Miles won't allow the loyalty points to be used to purchase gift cards, prepaid credit cards or other similar products anymore. Last year, the company planned to void Air Miles that hadn't been claimed after five years, that plan was withdraw after an outcry from customers. Will you be affected by the $50 cap or not being able to use Air Miles on gift cards? Honesty I didn't even know you could redeem for gift cards and I collect so few Air Miles that the $50 cap is fine by me but I know others redeem for high-ticket items and $50 is a drop in the bucket. I think they should reconsider that daily cap for sure.